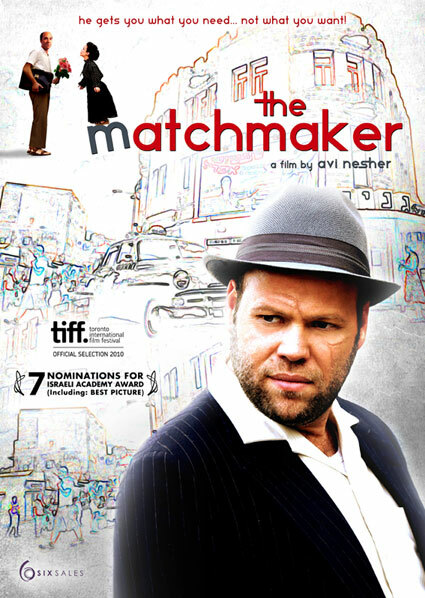 Arik, a teenager growing up in Haifa in 1968, lands a summer job working for Yankele Bride, a matchmaker. Yankeleh, a mysterious Holocaust survivor , has an office in the back of a movie theater in the seedy area of the city near the port. The theater shows only love stories and is run by a family of seven Romanian dwarfs. Arik is introduced to a new world – built on the ruins of an old one. While working with Yankeleh Arik begins to learn the mysteries of the human heart. At the same time he finds himself falling in love with Tamara who has just recently returned from America and is full of talk of women's rights, free love and rock 'n roll. Avi Nesher’s latest film mixes comedy with drama as it tells a coming-of-age story unlike any you’ve ever seen before. • Zlin Film Festival, Czech Rep.